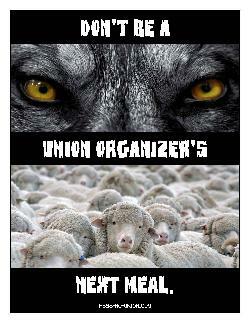 Union organizers are professionally-trained salespeople. As such, you can easily fall victim to a slick union sales pitch if you and your co-workers are being targeted for unionization. It's important that you are able to seperate the truth from union salesmanship. 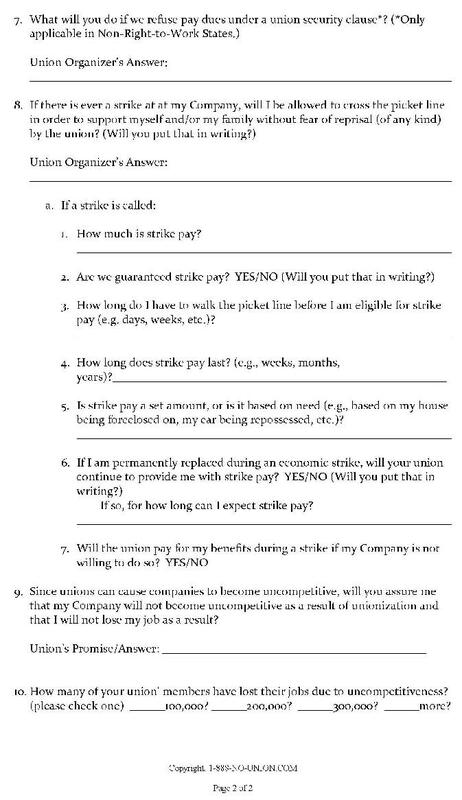 Before you sign anything allowing the union to come into your workplace and take your money, you may want to ask the union's organizer some pointed questions. Then, watch the union organizer's sales training go into action as the organizer ducks your questions.